Enter the Gateway to the Cosmic Laws and Produciaries of Love and Light as seen in the Great Elohim by accessing your own Akashic Records with the Book of Truth to gain Divine Guidance and healing for Self Enlightenment & Ascension. Experience the record of your soul throughout all of time and space to align with your Divine Soul Consciousness and Ascend out of the Matrix shifting from the 3rd Dimensional consciousness to 5th Dimensional consciousness and beyond. Understand your soul truth and receive divine guidance. Remember, learn from and heal past lives and clear karma. Step out of outdated or learned patterns and loops, fears and anxieties. Raise your vibration. Be as you are truly meant to be. 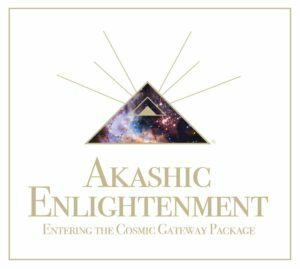 The Akashic Enlightenment Accessing Your Akashic Records & the Book of Truth for Self Enlightenment & Ascension class introduces you to the Akashic Enlightenment method and how to use the Akashic Enlightenment Gateway Prayer to open up your own Akashic Records and Book of Truth for self enlightenment and Ascension. It goes over what the Akashic Records and Book of Truth are and a detailed teaching of the 3 preparatory meditations of Running Energy, Golden Egg Energy protection meditation and the Shamanic Golden Chakra meditation techniques. It also goes over how to receive divine guidance and healing to your questions and concerns while in Akashic Enlightenment and help you discover your relationship with this method of spiritual growth and soul realignment. Practice working with questions to receive guidance, wisdom, energy healing, soul alignment and ascension in your Akashic Records and through the Book of Truth. 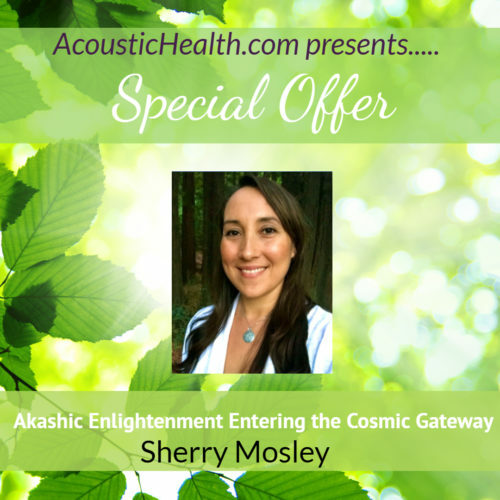 This online retreat series of 6 sessions will be working with Akashic Enlightenment for Ascension and the Elohim for Light Language DNA upgrades. As each of us goes through their lives and along their Ascension path, or the act of continually aligning with one’s highest soul self out of existing fears or negative, denser energies and growing with one’s soul expansion on this plane of existence, there becomes stages of being able to accept very ancient DNA light frequency codes from the Elohim (creation extension of the Godhead) for a more conscious human that humanity was to receive long ago. This light coding continually breaks one out of the old paradigm with cellular level upgrades to become a consciously living, creating and present being. These are two separate recordings of guided meditations for daily Akashic Enlightenment use. The first one takes you through all the 3 suggested preparatory meditations, Running Energy, Golden Egg Energy protection meditation and the Shamanic Golden Chakra meditation. The second one takes you through a simple sitting meditation you can do daily while in Akashic Enlightenment to help you align in your own energy, center yourself, and receive higher guidance to set your day. Akashic Aura Attunements are cellular level alignments, or bringing back into awareness and harmony, your cells to your soul’s Record of your truest highest self through accessing your Akashic Record and the Book of Truth (Akashic Enlightenment) and Light Language or Source Frequency. Your highest truest self is what is accessed through your Akashic Records through the Original Source Creation energy accessed through the Book of Truth, Laws of the Universe, which are the Laws outside of any falsly or lower vibrationally created physical existences that one has been aligning with knowingly or unknowingly. There are many societal laws, rules, beliefs and false patterns or looping behavior cycles one exists in when following this lower/ego driven self and false laws instead of the Book of Truth/Laws of the Universe, Universal Truth. The Akashic Aura Attunements® bring back your Original Knowledge of who you are as a soul and as cellular level upgrades. Through updating the aura of your cellular structures it reminds your cellular struction of this high dimensional self, the Divine Human, that you can embody in a physical form now as a human upgrading your consciousness on the current Ascension path happening at this time. In the session your Akashic Records will be opened in the Book of Truth via Akashic Enlightenment and will be used to visit your past lives, galactic incarnations, other dimensions and parallel lives in the multiverse in a most effective order as known and guided to by the Divine and brought in as your most immediate effective connections to reconnecting you back to your Light Language abilities and energies, your Divine Human self and greater soul self for this lifetime and beyond. Being clairvoyant I will share with you what they are visually showing me and conduit any energy frequencies they are accessing through these connections either via energy transmission or Light Language attunements for each soul experience that is accessed. This is an Ascension healing and attunement and also provides for soul expansion in this lifetime and for future soul existences. Each soul is at it’s own level and on it’s own path and timing will vary on this. Be patient with yourself as you go through this deep soul and Source frequency remembering and aligning process. After you are reconnected to Light Language frequency and expressing it in your soul’s assigned way in this lifetime, you can then do follow up sessions to continue to grow and expand your soul awareness on it’s highest level and upgrade your abilities in this lifetime and following incarnations, preparing for the journey ahead. These specific Akashic Aura Attunements are geared towards activating one’s link to Light Language and Original Source frequency. Light Language is an interdimensional language of love and light and a higher dimensional frequency healing. It contains the codes of Creation as sound as well as visual art glyphs. Verbally spoken there are different dialects and it is not necessary to undertand what is being said in order to receive its benefits. It connects directly to Source. Hearing it brings frequency and Ascension or DNA activating reconnecting one with their blueprint and template upgrades for the Divine Human/Original Light Being/Adam Kadman. It is used for healing issues, toning, meditating, giving and receiving higher guidance and aligning as necessary and needed by those who receive it or hear it, on a deep soul level.After hearing it some cry, some feel deply relaxed, sometimes physical pain just disappears and many other instant effects. It is often felt in the heart chakra and like a calm blanket of energy over the body. Others feel nothing but then soon after those around them see and feel a difference in their being, the shift that has taken place is sensed. This class goes over the Akashic Enlightenment method with preparatory meditation techniques and how to use the Akashic Enlightenment Gateway Prayer to open up your own Akashic Records with the Book of Truth for self enlightenment and Ascension. It helps you practice using the Akashic Enlightenment method to read your Records for self enlightenment and Ascension with a focus on exploring who you are at a soul level and your own Ascension process including using an Ascension healing prayer. This alignment class usually brings in strongly felt and expereinced energy alignments and upgrades. This class goes over the Akashic Enlightenment method with preparatory meditation techniques and how to use the Akashic Enlightenment Gateway Prayer to open up your own Akashic Records and Book of Truth for self enlightenment and Ascension. It focuses on you visiting past lives to see them in relationship to your Ascension process thus affecting the collective and Universal consciousness. They will help you to prepare and ramp up your soul to go further in this lifetime making these cosmically challenging transitions easier at this time. This course also puts you in alignment with your relationship to God/Source/All That Is, clears your energy to move you forward on your Ascension path and allows you to see current connections for what they are making you and your soul understand of why you’re here in this life and why certain people are in your life now.